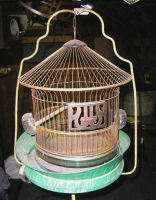 Circa 1920 vintage birdcage w/original skirt , cast iron stand and pressed glass feeders. Old yellow paint on stand. 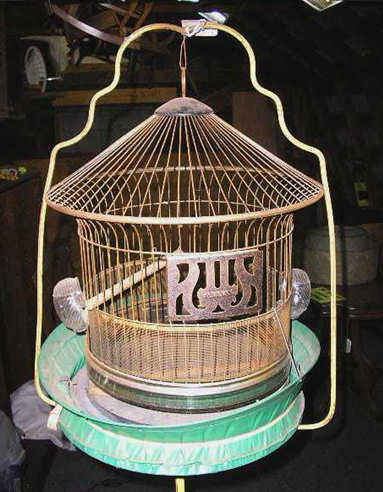 Very quaint for your “tweety bird”! 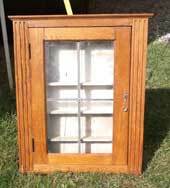 WAS $125.00 . . . 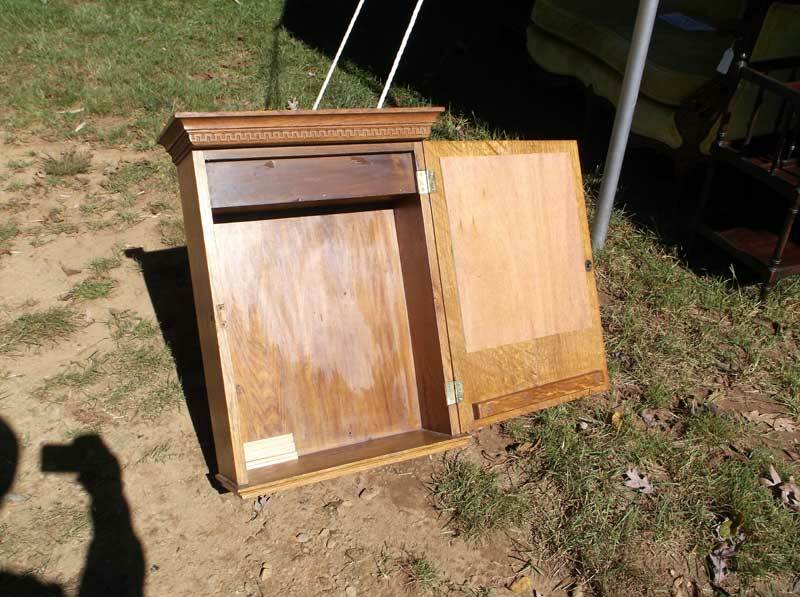 Shown as found, will be refinished prior to delivery. 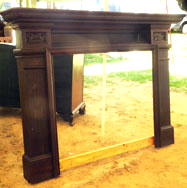 Beveled mirror above with double fluted columns. Solid oak, god strong golden oak color. 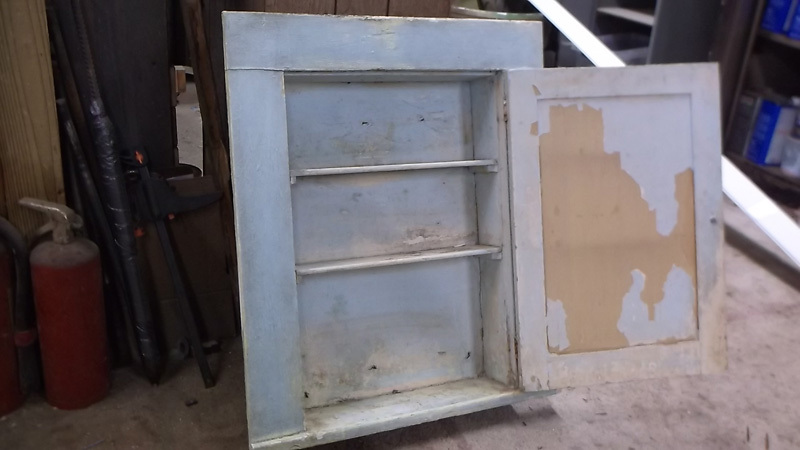 Shown as found, will be completely restored prior to delivery. WAS $950.00 Finished . . . 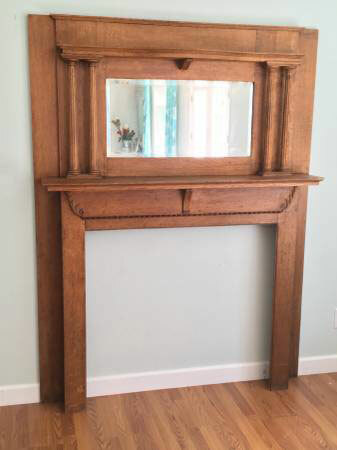 Solid Oak, round mirror with gallery top. 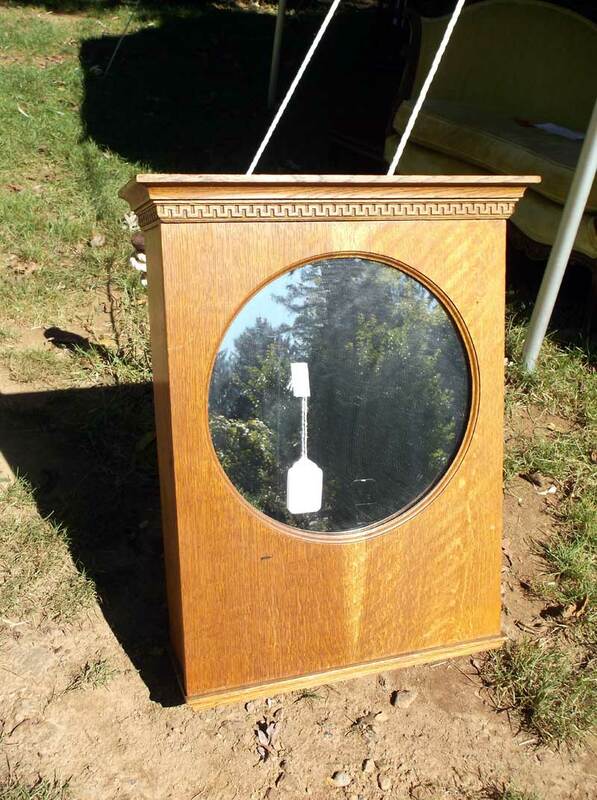 Originally a wall clock, it has a very different and interesting look! 2 shelves inside, new mirror. 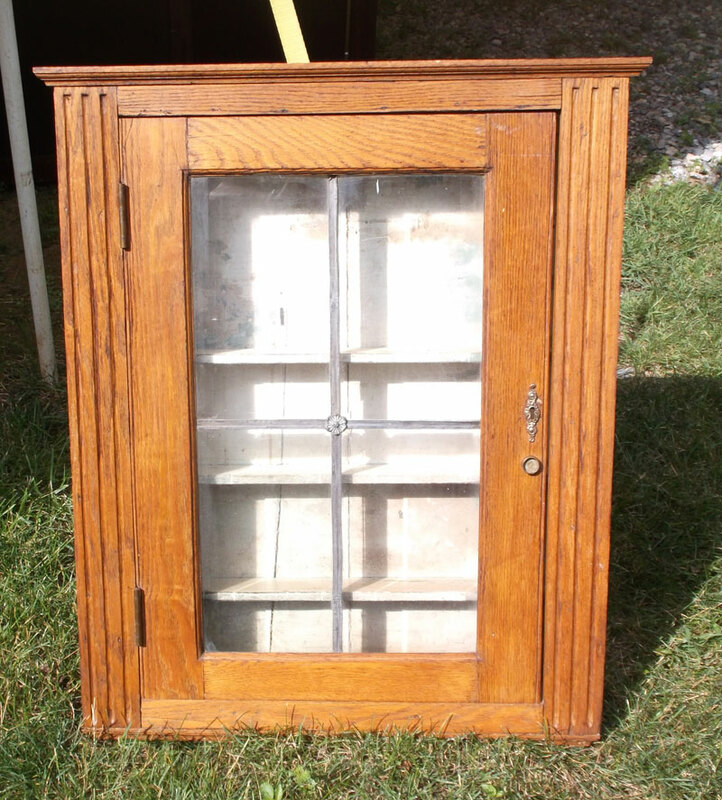 Shown as found, multiple cracked panes. Blue, amber, green and pink end of day or “slag” glass. 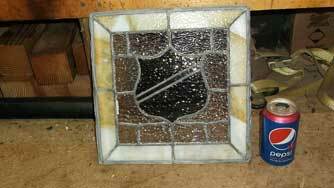 12” x 12” Window pane, white/amber slag glass border, dark red shield in center (cracked). Pepsi can for size comparison. Multi colored End of Day Glass panes, some cracks but tight. Very colorful with light through it. 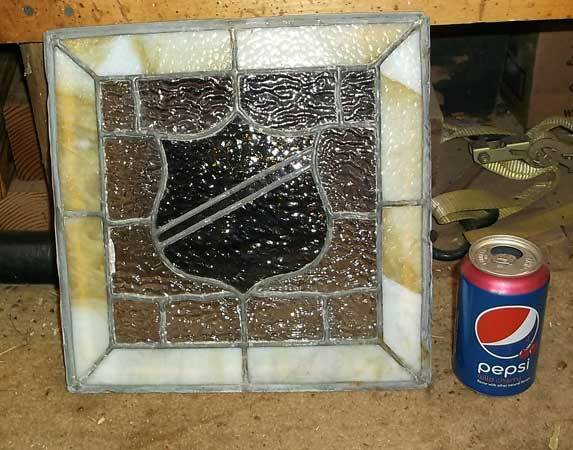 Matched pair of Slag glass windows. Very vibrant and colorful, solid, not loose. They look great with light behind! 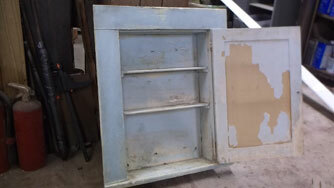 Soft green painted finish somewhat distressed. 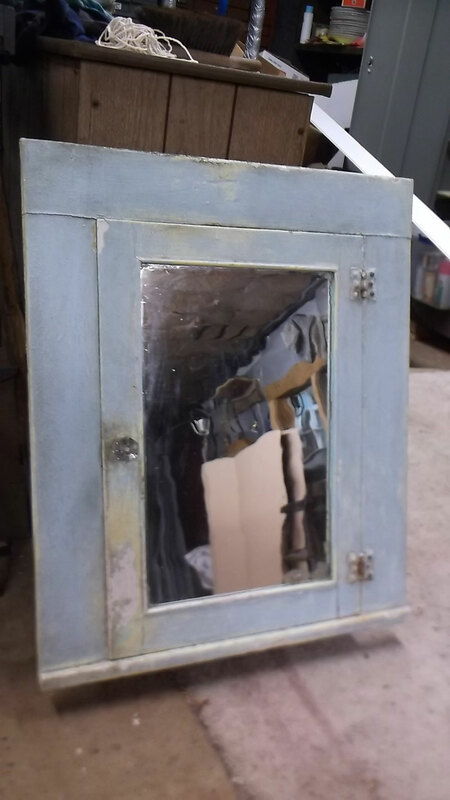 Very early float glass mirror in excellent condition for its age, “inset” body recesses into wall cavity with only framed mirror portion exposed.